Today is the proud 8th anniversary of A Catholic Life. It's hard to imagine that this blog has been around for 8 years now. As I look back, it's been with me through so much in life: from my years in high school through all of college and seminary and now several years while I work to promote catechesis. Plenty has changed in me through these 8 years as I have growth in knowledge and grace (indeed all by the grace of God). I've published an ebook and a paperback (715 pages) in this time and have helped lead the charge to restore Traditional Catholic Culture. I've grown from a Novus Ordo seminarian-to-be into a committed Traditional Catholic and defender of the Mass of All Times. As I look back I see the importance this blog has had in spreading the annual Saint for the Year Devotion and the mission it has taken to help restore all things in Christ. I am thankful for very much over these years including your readership. I pray that some of you have been readers for many, many years. 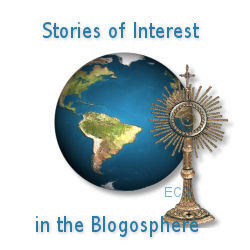 Some of you are likely newer readers and I pray that you will follow this blog far into the future. The mission of A Catholic Life was never founded for monetary purposes or for individualistic pursuits or vain hobbies. It was founded to serve as a conduit to help spread the Catholic Faith to as many souls as possible. Today, it's mission is still the same. Thank you for supporting this blog. How Could the Angels Fall?